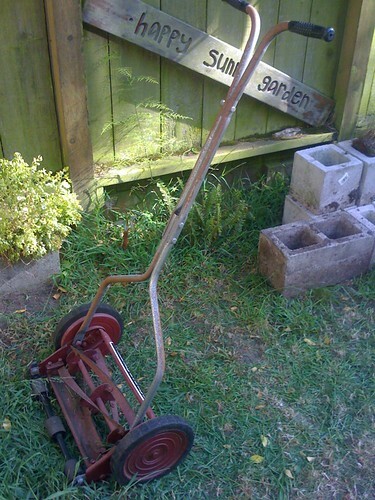 $2 lawn mower & it is AWESOME, originally uploaded by pseudobunny. Hmmm, save money on gas and get some exercise. Not a bad idea!